Healthy hot breakfasts – perfect for winter mornings! Hot breakfasts usually require slightly longer preparation times than those served cold. Set the alarm clock 10 minutes earlier – we promise – you will not regret it. You can also prepare dry ingredients a day earlier, for example: quinoa, barley or buckwheat, and in the morning to put them in the microwave for a minute or fry in a small amount of olive oil or rapeseed oil. Thanks to that you will save time! See our proposals for a warm breakfast that makes you feel better! 1 tablespoon of rapeseed oil. How to prepare quinoa with avocado, tomato and pomegranate? Avocado and tomato cut into cubes. Heat the rapeseed oil in the pan. Sauté rice quinoa with tomato. At the end of frying add the spinach leaves, season with salt and pepper. Under the photo from the fire add avocado and pomegranate seeds to the dish. a teaspoon of pumpkin seeds. How to prepare a dry porridge with beetroot? Oat cereal boil in milk or almond drink with the addition of a pinch of salt. At the end of cooking, add beetroot puree. Season the porridge with dried oregano and chili flakes. How to prepare buckwheat with mushrooms and sunflower seeds? Warm up the olive oil and fry the mushrooms. Add cooked buckwheat and fry for about 5 minutes. The whole is seasoned with soy sauce, smoked pepper and pepper. 2 slices of rye bread with sourdough. How to prepare mini omelettes with basil and dried tomatoes? Dried tomatoes cut into strips. In the bowl, break eggs and spices with salt and pepper. Add dried tomatoes and chopped basil to the eggs. Mix the mixed ingredients into the muffin molds. Bake for about 20 minutes in an oven preheated to 200 degrees Celsius. How to prepare barley porridge with pear and cinnamon? Cook the groats cooked a day earlier in a saucepan with the addition of almond milk. Peel the pear and cut into cubes. Mix the porridge with the pear. The whole is seasoned with cinnamon and lemon juice. Believe it with a teaspoon of chopped walnuts. 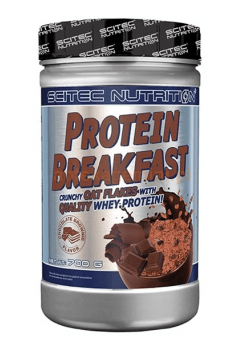 You can read also: Protein-fat breakfast – hot or not?